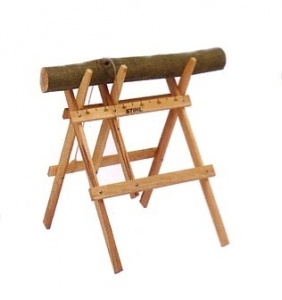 A metal cross-cutting sawhorse from STIHL. This is a galvanised metal chainsaw cross-cutting sawhorse manufactured by STIHL for their petrol chainsaws up to the MS 362 series and electric chainsaws with up to a 37 cm / 15 inch bar length. With a maximum load of 100kg. 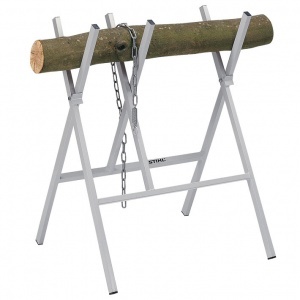 A robust metal chainsaw sawhorse from Stihl, perfect for cutting up logs into firewood with a maximum bearing load of 100kg. 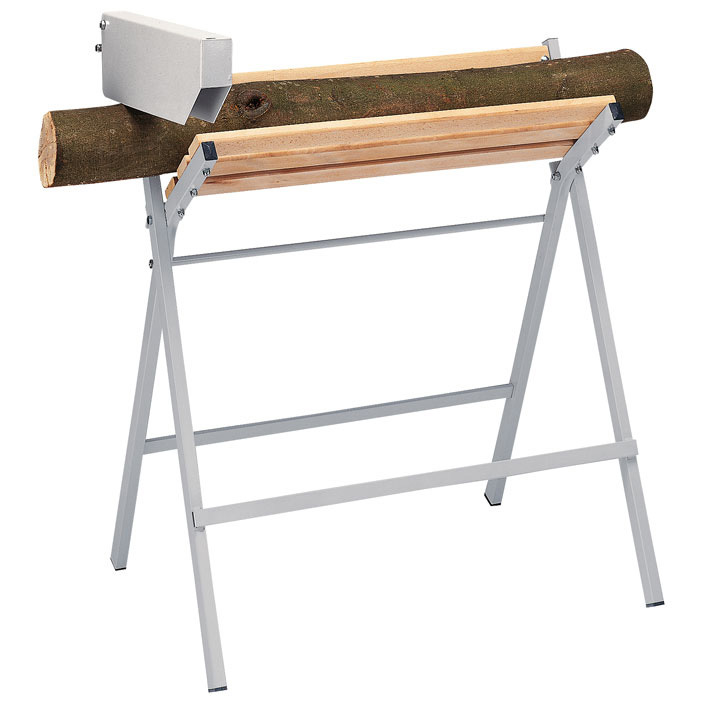 A lightweight Wooden Sawhorse from STIHL, designed to make cutting firewood easier.